How Early Should You Get a Haircut Before an Event? Here’s the scenario: You have an event coming up, and you know that you need to get a haircut so that your better half doesn’t kill you for looking disheveled. 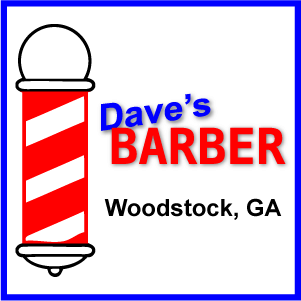 As time creeps forward, it’s the day of the event and you’re rushing to the Woodstock barber shop for a haircut. The only problem is now you don’t want to have that “new haircut” look. The Solution: Well, there are a few ways to tackle this problem. The first, and hopefully obvious, solution is to not put off getting your haircut. If you truly don’t want to have that “new haircut” look, then you should stop by the barber shop at least a week before your event. When you come in for your haircut a week before, it gives your hair time to relax and it gives you time to fix that tan line on your neck if you’ve been growing it out this summer. If you have waited until the day of or a few days before the event, your hair won’t have much time to grow out. There are minimal ways that we can manipulate your hair into not looking like you just got a haircut, but you would probably be happier with the results if you can at least stop by a few days beforehand. This will give your hair some time to relax. At the end of the day, you should really make your haircut a priority a week before your event. For guys who need a haircut before getting married, this is a must for you. You can also take the time to book an appointment for you and your groomsmen for a straight razor shave for the day of your wedding to make sure that everyone got the “arrive well groomed” memo. If you have any questions or need to book an appointment, contact our barber shop in Woodstock, Georgia today.